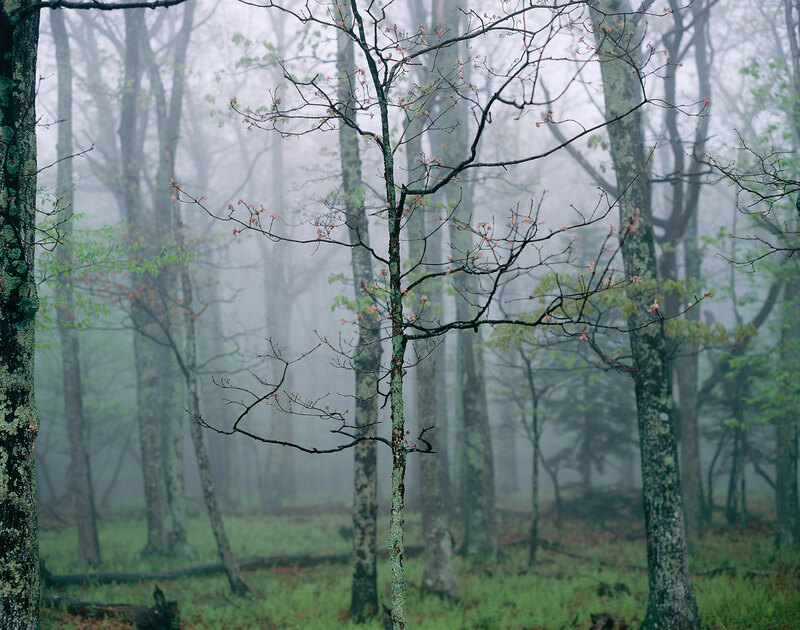 Cool fog rolling over the Blue Ridge mountains envelops the highland forest, distinguishing this white oak sapling from its neighbors. Pink spring leaves sprout from its swaying branches. I love the first weeks of spring, when fresh young leaves seem to sprout in every vivid hue before converging on the verdant green of summer.